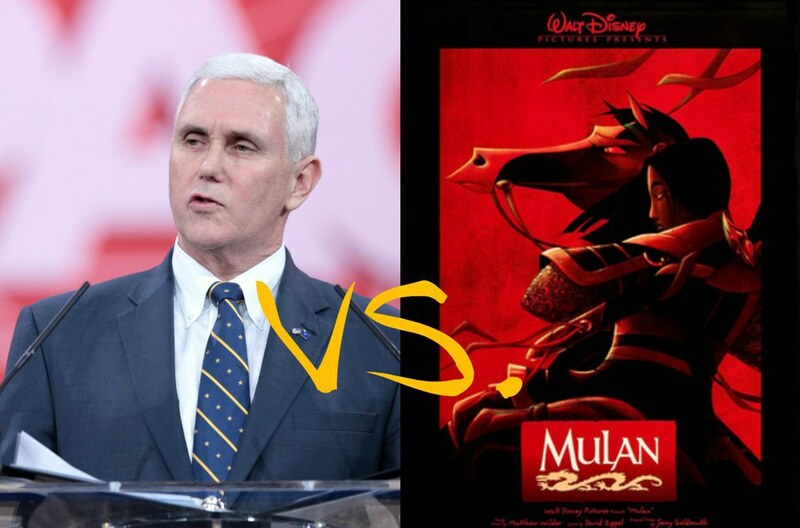 Republican Party VP nominee Mike Pence argued in his own op-ed that Disney’s "Mulan" was “mischievous liberal propaganda.” The article was published in 1999 on a website for a radio program in Indiana, where Pence was a talk show host at the time. The article was recently discovered by BuzzFeed News. Disney’s "Mulan" is based on a poem called "The Ballad of Mulan." The poem tells the story of Hua Mulan, a legendary female warrior who takes her elderly father’s place in the army. She fights in the army for years and is worshiped for her kung fu and sword fighting skills. In the Disney film, 16-year-old Mulan disguises herself as a man in order to save her aged father from enlistment.